Posted October 20, 2015 by - filed under Foundation Repair. Do you have problems with your residential structural foundation from natural disasters, poor craftsmanship or simply because the foundation is old and worn down? United Structural Systems is a Tennessee foundation repair company that has specialized services to help with your foundation problems. Company foundation experts work throughout residential areas of Tennessee and Kentucky. Residential customers trust us for the quality underpinning, brick repair and foundation repair work through our experienced and talented professionals. United Structural Systems is Tennessees leading company in foundation repair and underpinning technologies. Our company helps residents in Tennessee and Kentucky identify and then repair problems in their residential foundations. We are committed to finding our customers the right permanent repair and underpinning solutions to their residential foundation repair. With company owners that have more than 60 years experience, we are confident our structural repair experts will be able to diagnose residential and commercial structures and recommend an underpinning method based on your situation that will be guaranteed. Our companys vast experience in various geotechnical conditions throughout Tennessee and Kentucky residential and commercial repairs, whether it is repairs that involve underpinning or earth retention services. Our company has the skill to assess structural foundation damages and then to take the necessary actions to make sure they are stabilized and safe. One of their most common methods is called underpinning. Underpinning is a type of home foundation repair Nashville TN that allows the contractors to support the foundations with steel pilings driven to bedrock or refusal and leave the foundation safe and stable. Our company specializes in residential foundation underpinnings and repairs in Tennessee and Kentucky. Our experienced professionals use underpinning methods to provide support and strengthen cracked or weak residential structural foundations. 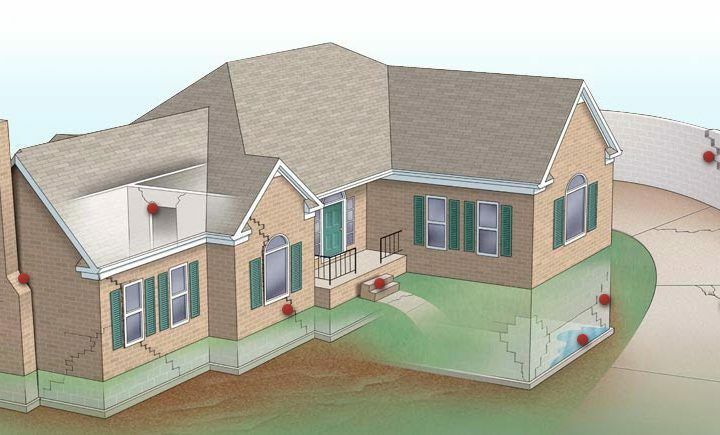 Dont leave a cracked or unstable foundation to jeopardize your home. United Structural Systems is a company that specialize in underpinning methods that will stabilize foundations and protect your family. United Structural Systems has been serving customers in residential areas of Tennessee and Kentucky since 1994 and have helped repair numerous residential foundation problems using underpinnings and other necessary repair methods. Our companys experts are trained to recognize different types of residential structural foundation damage and repair for these different foundation problems. Our company is so committed to ensuring our customers get the proper care and repair methods to their foundations that we guarantee we will provide permanent structural and underpinning repair solutions to our valued customers. Don’t overlook you basement, wall and home problems anymore. Call today to schedule an appointment for an inspection and estimate.